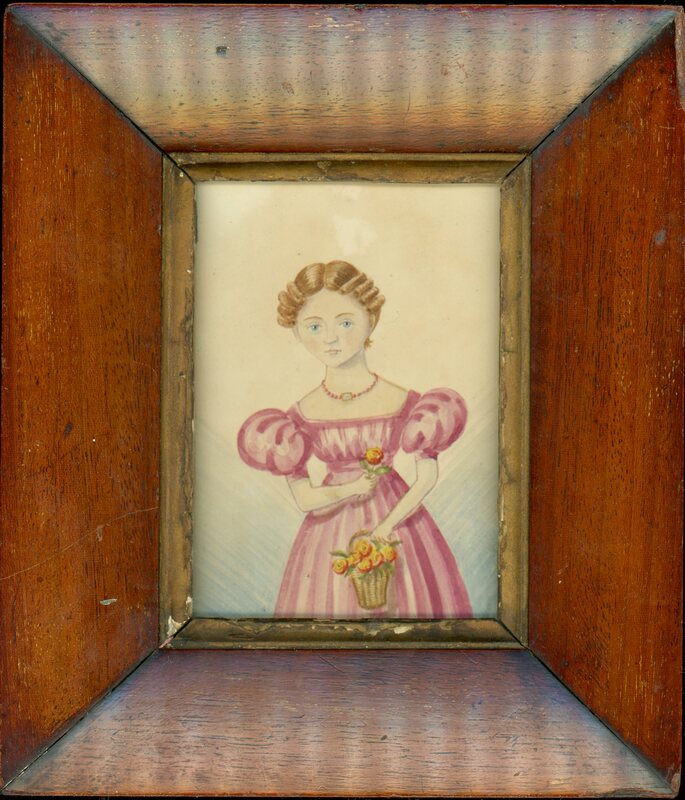 This is an endearing watercolour portrait of a little girl with a heart-shaped face and auburn curls. 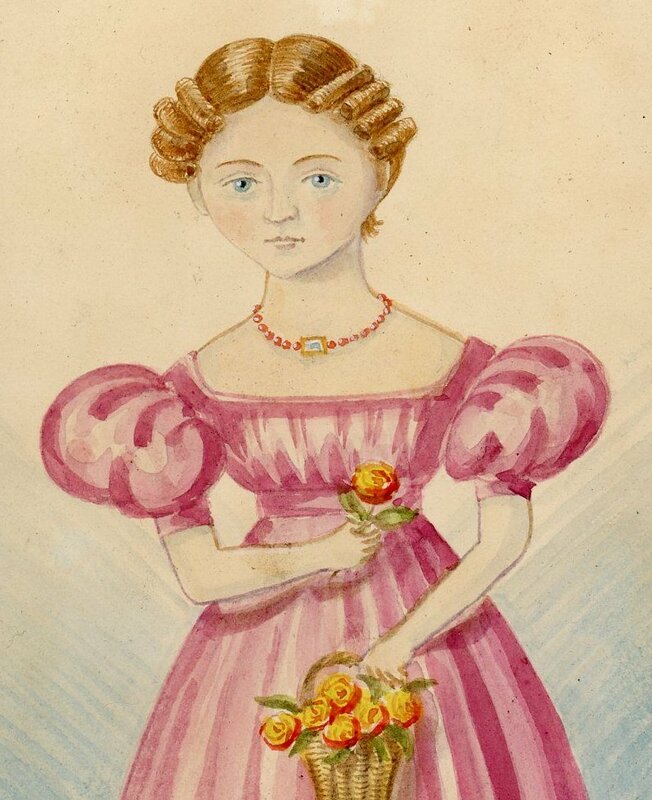 Wearing a short-sleeved pink dress with a square neckline and a narrow belted waist with a coral beaded necklace, she is holding a little basket filled with red and yellow roses. 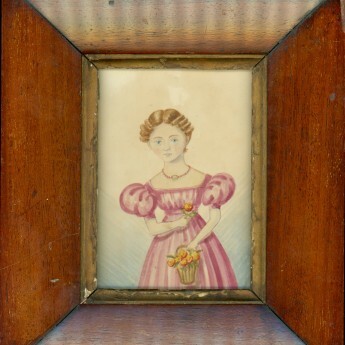 The portrait is housed in a period rosewood frame with a (slightly distressed) gilt slip.